A discount and travel club dedicated to enhancing the lives of foreign residents of Baja California through BIG Baja savings, fun and friendship; by providing exclusive discounts, events and activities. The Baja Good Life Club has been publishing and promoting Baja California since February 2007. With many original articles by great Baja journalists, columnists and bloggers. 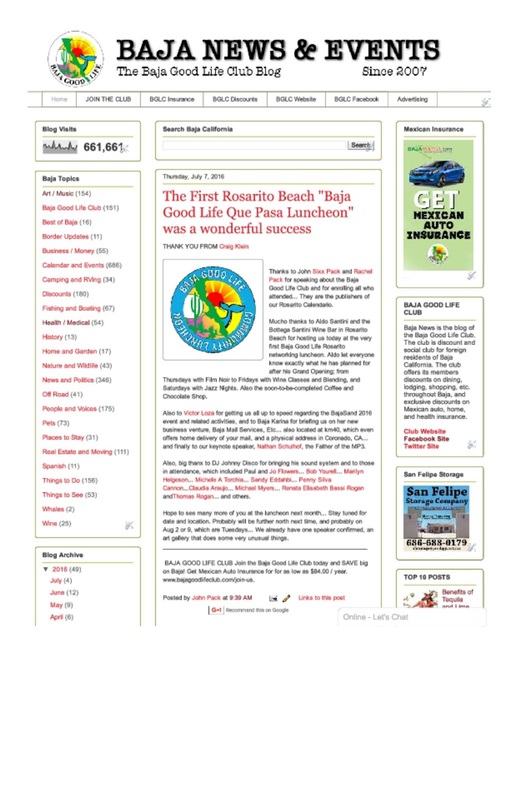 This site " BGLC NEWS contains over 2000 articles (and growing) related to Baja, all of which are optimized and indexed by Google and other search engines. More info - Email Us! Business Directory: FREE - Just Offer a Discount - get listed online and featured in the Baja Report, announced as a new business member on BGL Club’s Facebook, and BGLC Twitter; all free of charge. 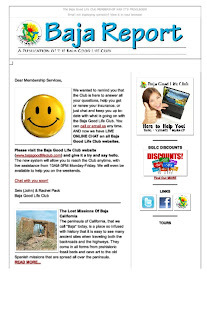 GET LISTED online Baja Good Life Club website and pages - Email US! 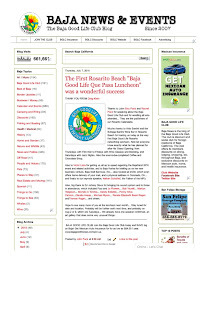 www.bajareport.com - The Baja Report is an online publication of the Baja Good Life Club. 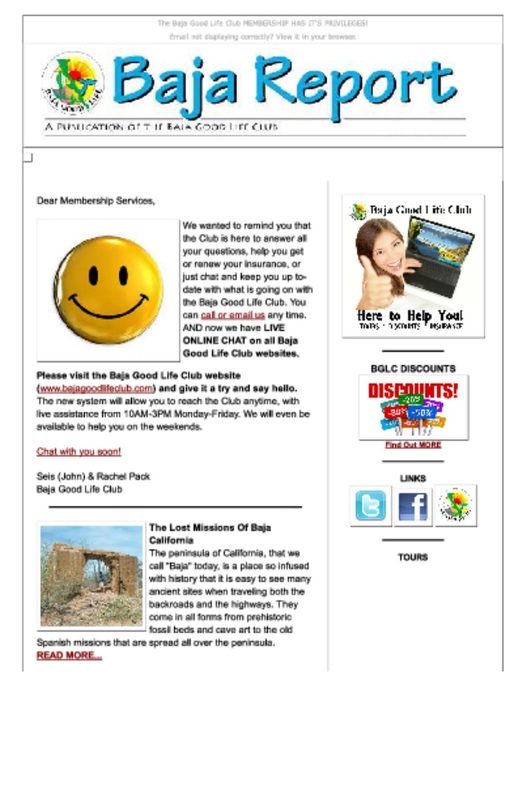 Sent via email to all BGL Club readers that love Baja and all that it has to offer. The Baja Report is seen more than 10,000 individuals every month. Advertise in the Baja Report - Email US! Do not miss this opportunity 4 websites for the price of 1! Get your business seen - Today! All the Baja Good Life Club websites combined get over 350 unique visitors EVERY DAY. This is not page views, hits or impressions, but actual individual people. Imagine if this where a physical brick and mortar store with 350 people coming through the door each day with your business name was on the door at eye level. Advertise on the Baja Good Life New Page - Email US!